This on its own was suspicious. The Games Workshop licence, whether it be a game themed in the fantasy or futuristic Warhammer worlds, or reprinting of classic Games Workshop board games, has been a staple of Fantasy Flight Games’ output over the last few years. They have also been some of my favourite games. 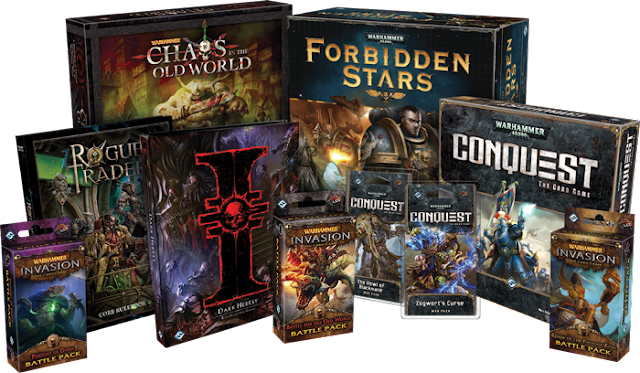 Relic, Warhammer 40,000 Conquest and Forbidden Stars (which I never did get round to writing a review about) have all been great games, and arguably much better than the games Games Workshop were producing from their own universes. Reprints like Talisman and Fury of Dracula have also been top on my gaming list, breathing new life into old classics. The sad story is that this has all come to an end. There have been weeks of speculation since Gen Con, especially as the surprise announcement from the convention was that of the Runewars Miniatures Game, a rank and file fantasy miniatures game that is similar in theme and style to the now defunct Warhammer Fantasy Battles. It felt like Fantasy Flight Games was giving Games Workshop the middle finger. You can argue that Star Wars X-Wing and Armada didn’t really tread on Games Workshop’s toes, them being pre-painted vehicle combat games (their huge popularity really does counter that argument mind you) but with Runewars, Fantasy Flight Games have produced a 28mm, unpainted miniatures game. There’s no denying that it is going to directly compete with Age of Sigmar. The article lists all the product lines that are coming to an end and confirms that Warhammer 40,000 Conquest’s organised play events will end after the 2016 Championships. 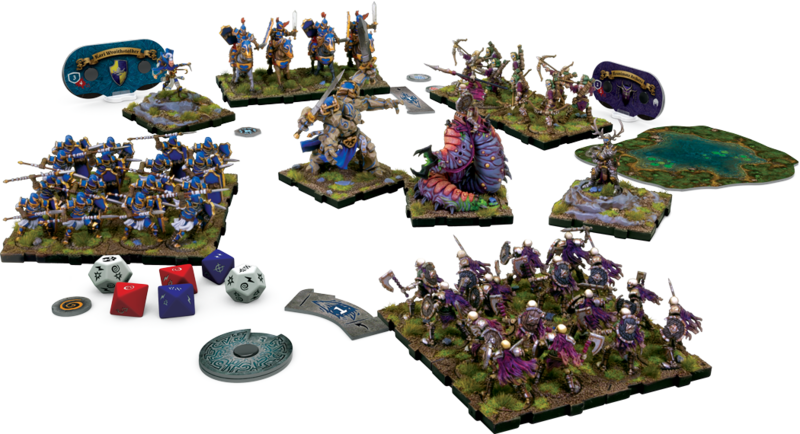 The announcement of the Runewars Miniatures Game suggests that this isn’t a sudden change; rumour has been that the agreement was coming to an end and it is standard practice to re-negotiate said agreement. Maybe Games Workshop wanted more money? Maybe with Games Workshop’s new lines in board games they wanted to avoid the confusion between the two companies? Maybe Fantasy Flight Games thought they had enough licences to work with? It’s all complete speculation and to be fair it doesn’t matter, because the deal is at an end and it’s doubtful we’ll see the Fantasy Flight Games designed games in their current guise again. And ‘current guise’ is the term here. Forbidden Stars was a reimplementation of the Star Craft board game, another game that had to be removed due to a licence agreement coming to an end (and becoming Star Craft Risk of all things). The old saying “the cream rises to the top” is applicable, as I believe we will see those great games come out again in a year or two, under a different licence and maybe polished up even further. The concern is more for those games that originally came from Games Workshop; I’m talking mainly about Talisman and Fury of Dracula. Both are much loved games and due to the huge number of expansions available, Talisman must have been a pretty good seller. The concern is that since these don’t fall into the Age of Sigmar or Warhammer 40,000 universes, will Games Workshop abandon them? Will they sell them in to another board game producer? Or will they redevelop them in house?